7 healthy smoothie add ins to keep on hand for even the pickiest drinkers. Skip the fancy supplements: 7 healthy smoothie add ins you can get easily. I admit it: I love that smoothies have become trendy, because it makes for more inspiration. I’ve been making smoothies on the regular for over 10 years now — since my older son started solids — so I always welcome new smoothie ideas. 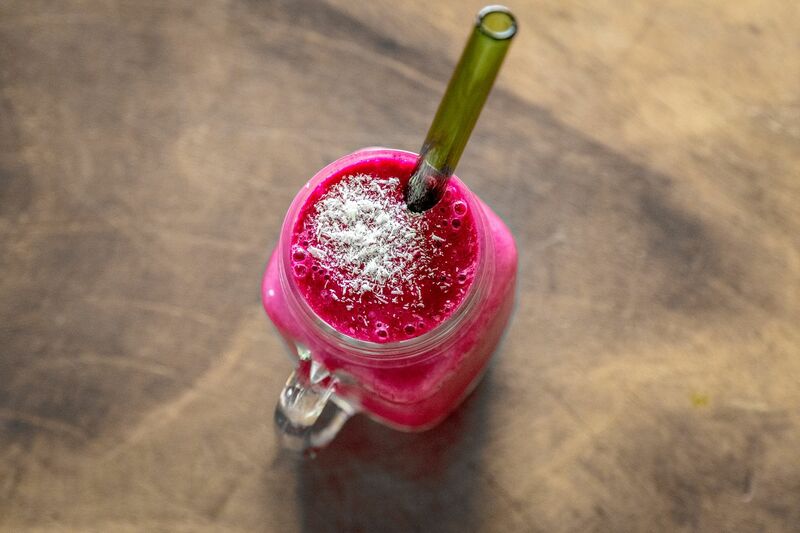 The thing is, the ideas have gotten so out there that many of the smoothie ingredients called for in recipes these days are super hard to find, taste funky, or are just plain too expensive. Here are some tips on how to make your smoothie as healthy as possible, including my seven favorite smoothie add ins to keep on hand at all times. While the most affordable ingredients will be your fruits and veg, these whole food supplements can power boost your smoothies without completely breaking the bank, plus they tend to be easier to find and don’t taste bad, you know, according to my kids. And they’re the ones who count. Related: Make-Ahead Smoothie Packs that will up your smoothie game (without extra work). Before we get to my favorite smoothie add ins, let’s talk about getting your smoothie off to the right start. The most important thing is making sure that it isn’t packed with sugar. I know that it’s tempting to use fruit and juice and sweetened yogurt — because who wouldn’t drink that deliciousness — but it will end up having nearly as much sugar as dessert. These tips will help you make a smoothie without heaps of added sugar. Phew. Also, mix in some veggies. I’ve never been a hide-the-veggies parent (though no judgement if you are or have been), but if you’re going to blend something into a sweet-tasting drink, you might as well throw in some nutrient dense vegetables. And no, that doesn’t mean that your smoothie has to taste vegetal or even be green. In fact, my favorite smoothie ingredient is a totally unexpected veg that will never be detected — unless you want it to be. And for the record, avocado is also a great smoothie add in. It’s technically a fruit and not a veg, but it’s as nutrient dense as a vegetable, lends a super mild flavor, and creates a fantastic creamy texture. One last way that you can power boost your smoothie is with the right add-ins. A lot of people use nutritional supplements such as protein and collagen powder. They can be great, but they can also cost a lot and taste funny — at least to a sensitive kid’s palate. Instead, I focus on these (usually) more affordable and widely available whole foods that are tasteless and safe for kids of any age. Related: 3 smoothie cookbooks that give healthy a tasty twist. Turmeric: Turmeric is a bright yellow spice that comes from a root that looks much like ginger on the outside and has powerful antioxidants and anti-inflammatory properties. I like adding fresh turmeric to my smoothies, but it can be harder to find than the dried, ground spice available in nearly every spice aisle. If using fresh, peel the outside, roughly chop or grate, and blend into your smoothie as you would ginger. As a general rule of thumb, 1 inch of fresh turmeric root equals about 1 tablespoon freshly grated turmeric which equals about 1 teaspoon ground turmeric. Turmeric’s flavor is mild, but you’ll want to play with the amount to make sure that the flavor it does give works for you. 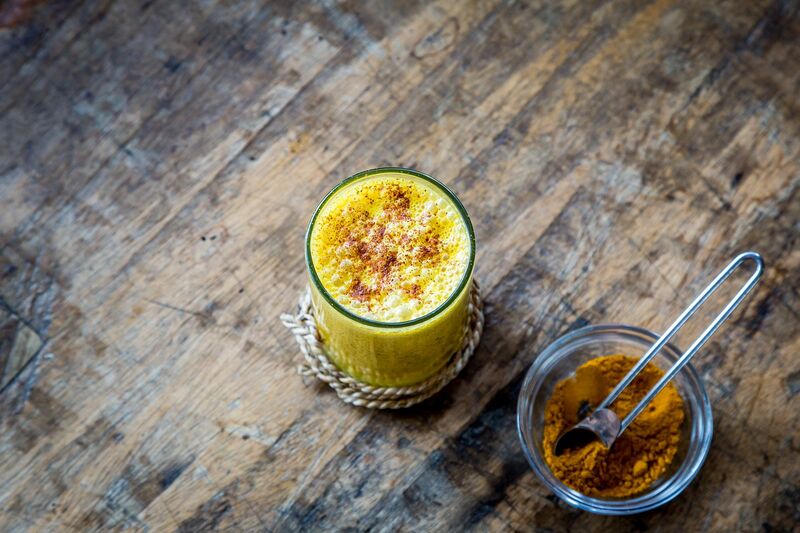 Also, whether you use fresh or ground, it’s said that the beneficial active ingredient in turmeric is more easily absorbed when combined with fats (think coconut oil or coconut milk, both of which are great for smoothies) and a little black pepper. Chia seeds: You’ve probably heard a lot about these little ancient seeds, which is a good thing because their popularity has made them more widely available and cheaper too. They are rich in omega-3 fatty acids, fiber, antioxidants, and calcium. They also have good protein and fiber, which work together to make you — and even the kids — feel sated. Flax seeds: Flax seeds are a powerhouse that pack in omega-3 fatty acids, fiber, protein, and vitamins and minerals including iron. This goes without saying for smoothies, but you need to grind the seeds to reap the benefits. Pro-tip: I’ve seen ground flax seeds and chia combined in one pack, which is a good way to add both to your smoothie without having to buy them separately. Hemp seeds or powder: Yup, hemp is good for you. [Cue the jokes about your college days.] It is a good source of protein, omega-3 and omega-6 fatty acids, fiber, iron, and minerals. I’ve noticed hemp seeds at my local Trader Joe’s, which is how I realized they are becoming more widely available. Pick up a pack and add them to nearly any smoothie for a healthy boost. 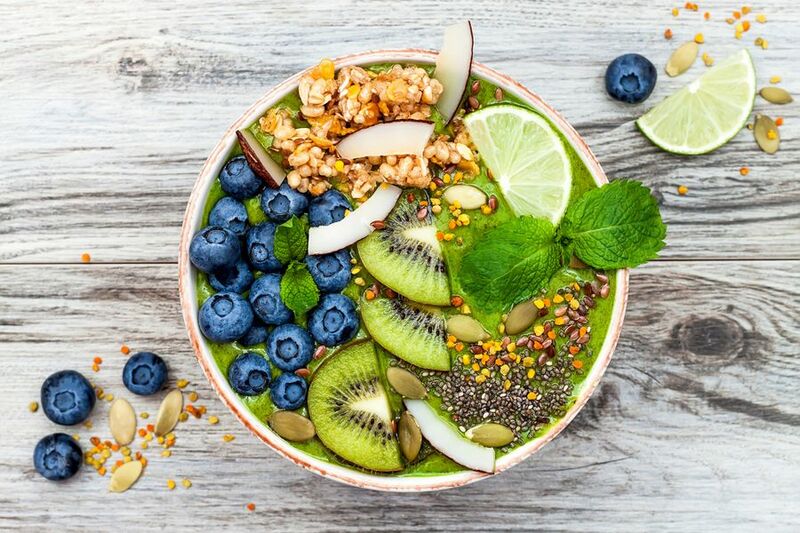 Matcha Green Tea Smoothie Bowl with chia seeds, flax, bee pollen, and more. Bee pollen: You may have heard that bee pollen can help relieve allergies and even give a boost of energy. While the hard research on those benefits are still out, it’s definitively rich in vitamins, minerals, and of all things, protein. It also has a little bit of a sweet flavor, so taste your smoothie with bee pollen before adding tons of other sweeteners. Check the refrigerator section of your local Whole Foods or health food store, or ask any purveyor of honey at your local farmer’s market if they have bee pollen. Of all the items on this list, this one can get pricey and be harder to find, but with it’s rise in popularity, that may change. Cacao powder: I know it makes you think of chocolate, but this one may be just for the grown ups since it also contains caffeine. I’m including it, though, because cacao — which is unsweetened, by the way — also has a high concentration of powerful antioxidants. Matcha powder: Like cacao powder, matcha contains caffeine. If you don’t mind that, it also contains a high concentration of the antioxidants that make green tea so good for us. It also gives your smoothie the best, brightest green color. What do you add to your smoothies? Tell us about your favorite smoothie add-in ingredients or supplement!